One of our most popular journeys along the River Rhine explores five countries and features a seven-night cruise from Switzerland to the Netherlands aboard ms Grace or ms Inspire plus three nights in the historic Italian fashion capital of Milan plus a visit to glamorous Lake Como. Highlights include: Milan - three nights at Hotel Principe di Savoia, a historic landmark in the heart of the city. Lake Como - a private boat ride on Lake Como with views of the beautiful villas beside the lake, a visit to romantic Isola Comacina for lunch at a famed trattoria, and a visit to Bellagio. Basel or Zurich - your choice of Swiss city walking tours in either Old Town Basel, a cultural mecca, or fashionable lakeside Zurich within sight of the snowcapped Alps. Riquewihr - a walking tour of this tiny Alsatian wine village where French and German cultures blend to create a distinctive atmosphere, featured on the list of "The Most Beautiful Villages in France." Heidelberg - a guided visit to legendary Heidelberg Castle, perched high above Old Town, where the views are as enthralling as the feeling of 600 years of history all around you. Rüdesheim - experience Siegfried's Mechanisches Musikkabinett, a museum of mechanical musical instruments in a centuries-old castle. Linz am Rhein - stroll through this picturesque town lined with colorful half-timbered houses. Dusseldorf - spend an afternoon exploring this riverside center of art and fashion. 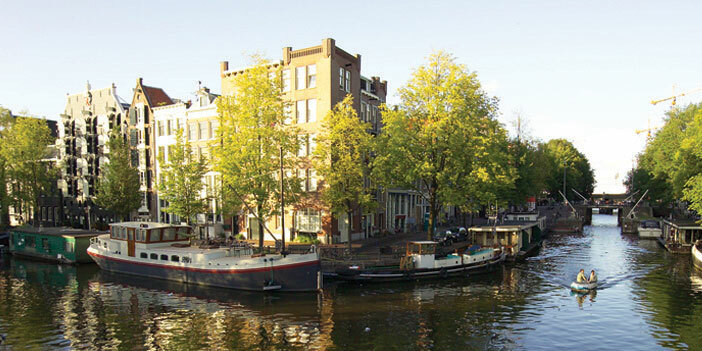 Amsterdam - a day in the city includes lunch aboard a private canal boat cruise. Tauck Exclusive experiences include a special evening at Schloss Johannisberg, a vineyard estate in the Rheingau wine region. Join the list and be the first to receive complete details and dates! Maintaining Tauck’s high standards for quality and comfort, ms Inspire cruises exclusively for Tauck on the Rhine and Moselle rivers as part of our Destination Fleet. With a maximum of 130 guests, the 443-foot riverboat and her sister ships continue our tradition of providing more space per guest on Europe’s inland waterways, transporting fewer passengers than most longships (135 meters). Her deck plan is innovative; with a total of 67 cabins, our most popular cabins tend to be our largest... so we have used the added ship length to offer twenty-two 300-square-foot Tauck Suites – the most of any river cruise ship on any European river. To increase the amount of natural sunlight on the lower deck, we’ve created 8 loft cabins that extend from the first to the second decks, providing guests with an additional view; all windows in these loft cabins open. We couldn’t find just the right words to describe the sumptuous new bedding and amenities we custom ordered for your in-cabin cruising comfort... 400-thread-count satin bed linens made from the finest combed cotton... puffy white duvets and pillows of very fine mako cotton, with a hypoallergenic 90% down filling... 100% cotton blankets, temperature balancing and so soft to the skin... and thick pillow-top mattresses that lull you to sleep... along with the Essentials Line of Molton Brown bath products, exclusive to Tauck... absorbent terry cloth robes and fluffy towels... hair dryers... but we do know they are key for waking up refreshed and relaxed for your traveling pleasure.